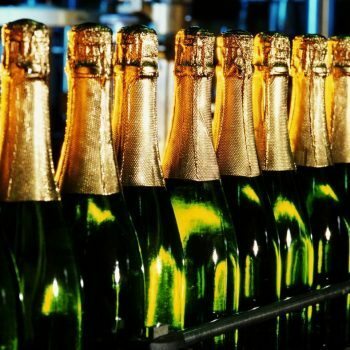 The price of beer, wine and spirits on promotion increased by 1.1% in the UK this year, however the price of Champagne on promotion increased the fastest, with the fizz now 4% more expensive than it was last year. According to new research from IRI, the promotional giveaway – the overall saving made by shoppers, which takes into account the volume sold on deal and the level of discount offered by the multiple retailers – fell by 1.1% on beers, wines and spirits this year. It means that customers saw a discount of around 9.1% on beers, wines and spirits, between February and May 2017, compared with a 10.2% discount during the same period last year. The discounts offered to consumers fell further in June, increasing prices by 1.8%, but steadied again in July at around 0.1%, the data found. Champagne had previously been the category with the deepest discounts, but the savings on Champagne fell at the fastest rate of all the drinks categories, falling 4%. This took the discount applied to Champagnes to an average saving of 11.8% between February and May 2017, down from 15.9% over the same period last year. This contrasted with promo on sparkling wines (including those on Prosecco) which were broadly flat over the year, with an average saving of 12.4%, notably higher than that of Champagne. However, during July, the discount on both champagne and other sparkling wines rose by 2.2% and 2.6% respectively, making them the two booze categories giving the overall greatest savings to consumers. Meanwhile, discounts on spirits also fell by around 0.6% in the 3 months to May 2017, compared to the previous year, bringing a total average saving of around 10.7%, down from 11.2% last year. Beer, larger and cider discounts also fell, from an average of 7.5% to 6.8%, representing the lowest discounts in the BWS aisles. Earlier this wee the IRI published a report showing that levels of promotion across the grocery category had fallen to their lowest level in ten years, falling 25% in the last five years, and slashing £3.7 billion of discounts. Co-author of the study Tim Eales, the strategic insight director for IRI, said retailers were moving away from the short-term benefits of multi-buys and price cuts that boosted footfall, replacing them with fewer promotions, “driven by a need for more promotional efficiency and effectiveness”. Last year, the then managing director of Centre Vinicole Champagne Nicolas Feuillatte (CV-CNF), Julie Campos, told db the prices of Champagne in UK supermarkets had been “suicidal” for producers, arguing that the deals in recent months were below-cost and unsustainable. At the time, Campos said that there was no way that Champagne priced at £10 or lower in the UK was covering the cost of production.